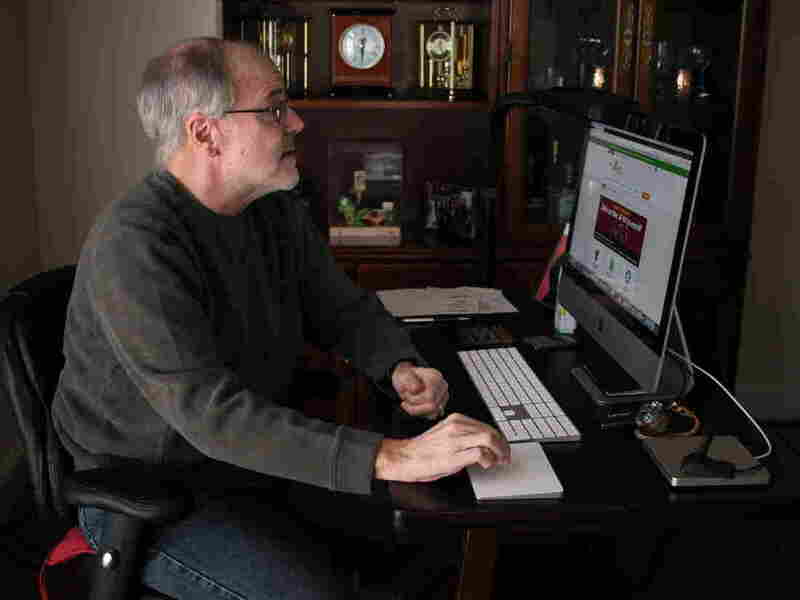 Health Insurance Bargains Still Available For Many, But Deadline Looms : Shots - Health News Shop around. That's the advice of health insurance navigators for people seeking health policies on the Affordable Care Act's state and federal exchanges. Premiums have climbed but so have subsidies. The homepage of the Affordable Care Act exchange on Nov. 1, 2017 in Miami. The open enrollment period to sign up for a health plan on HealthCare.gov runs through Dec. 15; several states with their own health care exchanges have later deadlines. Kern lives in Frederick, Md., and has been an enthusiastic enrollee in Maryland's health exchange since it began in 2014. But this fall he received a letter from his insurer explaining that the cost of his policy's premium would jump from $800 a month to $1,300 in 2018. Premiums have risen for many 2018 policies, though most people won't actually have to swallow those higher costs, because subsidies have gone up, too. Gene Kern is one of the exceptions. "Because of my income, I am slightly above the 400 percent poverty level," he says, "and as a result I get no subsidy from the government." Gene Kern of Frederick, Md., shops for health insurance on the ACA exchange. The monthly premium for his policy is going up this year, he says, and he does not qualify for subsidies. So Kern has switched to an HMO plan on the insurance exchange for around $900 a month. That's more than 20 percent of his income, which comes partly from Social Security and partly from his retirement account. But, he says, "It's the best I can get," and he wants very much to stay insured for the next two years, at which point he will qualify for Medicare. Louise Norris is a health insurance broker and analyst in Colorado. She says there are a number of people like Kern who earn too much for a subsidy and will pay more for health insurance next year than they did in 2017. "Rates are high," she says. "There's no way to sugarcoat that." But she warns her clients against the temptation to get a less expensive plan that doesn't comply with the minimum standards set out by the ACA. "It seems like a good deal because it's cheap," Norris says. "But then you find yourself being that person who has a heart attack and needs triple bypass. And hundreds of thousands of dollars later you wish you had that ACA-compliant plan." Prices for ACA-compliant health policies went up in Tennessee, too, where state regulators approved average rate increases ranging from 20 to 40 percent. Brenda Linn has already been paying $750 a month just to cover her own medical needs; so the retired kindergarten teacher and her husband logged on to HealthCare.gov to check the price of 2018 plans. To her surprise, the website brought up a great deal. "And I'm like, 'Dave, this has to be a mistake,' " she says. The price Linn was quoted was less than $5 a month. Why? A slight loss of income had made her eligible for a subsidy for 2018. "Because we didn't qualify last year, I wasn't really that hopeful," Linn says. But a large majority of marketplace shoppers do get subsidies. And for 2018, on aggregate, these subsidies are larger. Tony Garr, a volunteer application assistant with the Tennessee Health Care Campaign, says more than ever this year, people should shop around on the exchange to see what kind of subsidies they may be eligible for. "Generally speaking, they will find out that help is there," he says. Any many people who got a price break in the way of a subsidy in the past can get even more for their money this year. For example, Daniel Prestwood, who is self-employed and cleans fish tanks around Nashville, says he found a better plan for 2018, with monthly premiums that dropped from $300 to $200. He says he tries not to get too frustrated by the political wrangling over health care. "All I know is that for 2018 I'll have a good health care plan in place," he says, "and that's the best I can hope for at this point." And even with the Trump administration's efforts to hobble the ACA, in Tennessee, the number of applications processed by federally funded insurance guides — known as navigators and certified application counselors — has already surpassed last year's. 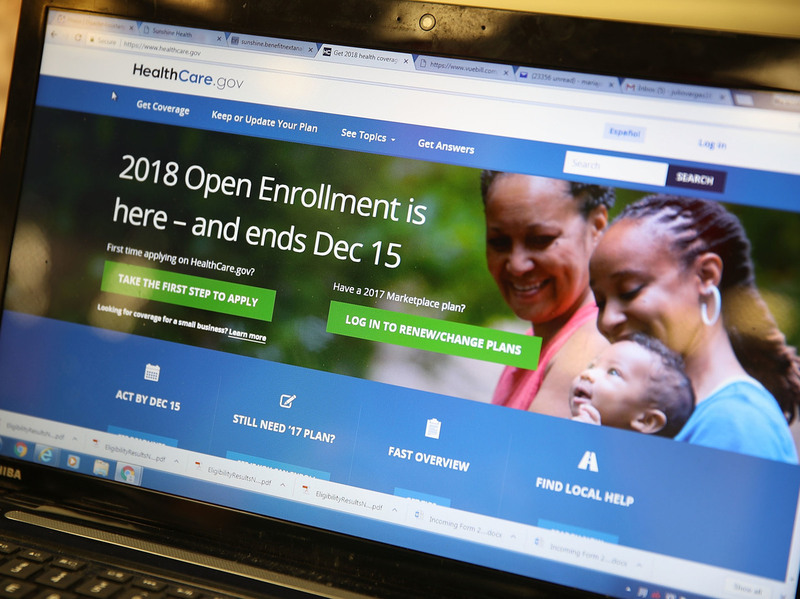 As of early last week, with 10 days left in open enrollment, more than 1,200 individuals had applied with official help, eclipsing the total from all of 2016, when the enrollment period was several weeks longer. While application assistants only work with a tiny fraction of the 235,000 Tennesseans who have marketplace plans, Sandy Dimick of Family and Children's Services Nashville, says she expects total enrollment will exceed last year's total, as well. Navigators around the U.S. have worried that cuts to the federal advertising budget in 2017, and a lack of cheerleading from the White House, could drive down enrollment. Take note: Though enrollment for most states ends Friday night, residents of nine states (California, Colorado, Connecticut, Maryland, Massachusetts, Minnesota, New York, Rhode Island and Washington) and the District of Columbia have slightly more time to sign up. This story is part of NPR's reporting partnership with local member stations and Kaiser Health News. Selena Simmons-Duffin, a producer at NPR's All Things Considered, is working temporarily with NPR member station WAMU, as part of an exchange program at the network. Blake Farmer can be found on Twitter @FlakeBarmer.